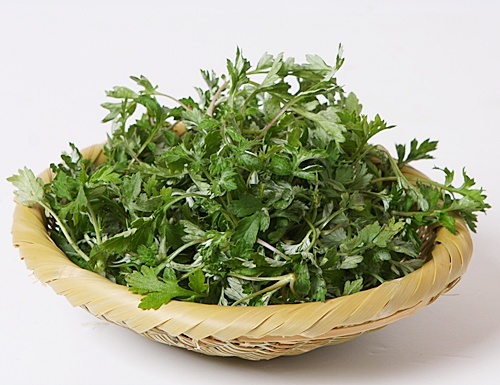 three months of eating garlic and mugwort – Wake Up and Laugh! 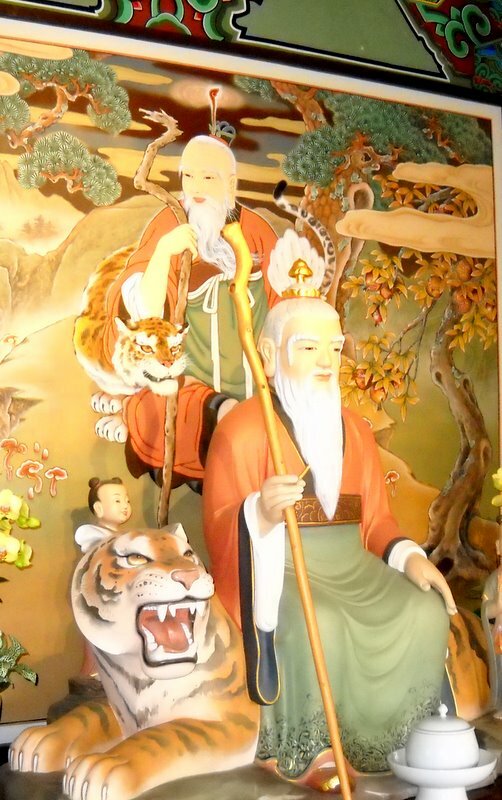 Tigers play a prominent role in Korean spirituality, and stories about them were often used to convey deep ideas and practices. One of the most famous involves the legendary figure, Tangun. Considered the founder of Korea, he was a great being who taught spiritual cultivation as well as advanced methods of agriculture, medicine, and animal husbandry. In so doing, he brought great benefit to all the people of the land. Tangun’s story begins with his mother. Around 2,400 B.C.E., a female bear and a tigress shared the same cave. Together they prayed to the heavenly king to become human beings. The king took mercy on them and said that if they could stay secluded out of the sunlight, and eat only garlic and mugwort for one hundred days, they would be transformed into human beings. He gave them garlic and mugwort, and they entered the cave. There they stayed, eating only garlic and mugwort. It wasn’t too long before the tiger began to have more and more difficulty with this. Soon she couldn’t resist the desire to roam and eat meat, and left the cave. The bear continued to eat the mugwort and garlic, and after just 21 days was transformed into a human being. Later, after marrying a heavenly prince, she gave birth to Tangun. Although on the surface, this might seem to be just a strange folk tale, it’s actually a description of spiritual practice and awakening. Think of the bear and tiger as our animal natures, the habits we’ve carried with us as we’ve evolved. Instead of running around outside, indulging their habits, they were doing what was difficult, what tasted bitter, and returning all those back to the cave within us. One person couldn’t endure this and gave up. However, the other persevered and so realized her true nature, that essence that is vastly more than the temporary habits and thoughts arising from the body and its senses. In so doing, she was transformed into a true human being. Knowing this Buddha-nature for herself, she recognized it in others, and found a similar person for a husband. And together, they gave birth to a child who became a blessing for all around him. This is a bit unrelated, but the Korean version of “A long, long time ago…” also involves tigers. It goes like this: “In the days when tigers smoked tobacco…” How this saying developed, I have no idea! I love these stories and I LOVE the picture of the tiger smoking tobacco! Think I will have to put Woljeong Temple on my list of places to visit, just to see this…. What a wonderful post! And yes, I love the picture! Thank you so much Sunim! Wonderful! Thank you! Aaron ( my second son,11 years) liked very much the statue of Tangun and also the picture of the hare lighting the pipe of the tiger. Both my sons adore since they have been little the story about Daehaeng Kunsunim and the tiger (it must be the one with the shoes, I think). Thank you for the great story. I wonder if tigers still roam somewhere on the peninsula, perhaps in the Diamond Mountains? I don’t know Barry, Daehaeng Sunim said that the tigers from the hermitage where she stayed followed her to Anyang for a short while, and that was in about 1972. I don’t think there were any “official” sightings of wild tigers in Korea beyond the early the 1960’s. That said, a famous deer hunter once told me that the key to finding the really big deer was that the much older deer thought and behaved in completely different ways than the deer that most hunters shot. So I think its possible that there were some really sneaky tigers around, but by now I think the problem is that they might not have had any offspring, and simply died out with old age. A baby tiger just born on the ground has an ox-eating spirit. That’s a great proverb, Barry! Wonderful story. So many of the Zen stories are retold and retold but this is a new one to me. 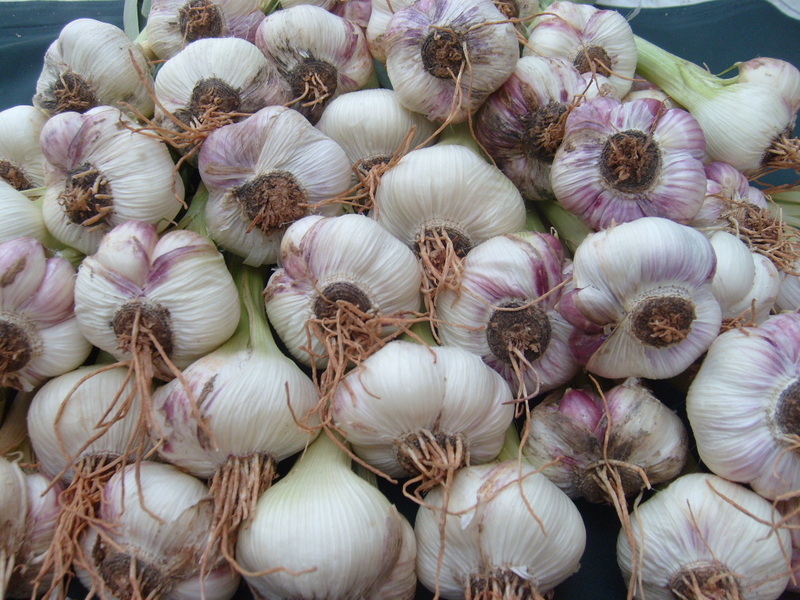 It’s quite lovely and we get that earthy sense of sticking with it “having to eat mugwort and garlic”. And what is that tiger smoking??? Actually, these kinds of tobacco pipes used to be popular in Korea before the Japanese era. The longer the pipe, the higher your status, because if you had a really long pipe, you couldn’t light it yourself, meaning you had others who served you. So in the painting, the long pipe is also a hint of the tiger’s high status. I don’t think procreation was the point here, the real point was the process of spiritual practice, tacked on the story to explain the quality of Tangun’s parents. As I think about it, though, there are two other ideas in this part. One is the idea that we gather togther according to our similar level and karmic affinity. So because she had apparently developed a great deal, similar people came into her life. As far as her having a child, for me that could mean almost anything. Perhaps just the desire of her heart, or, perhaps, similar to tantra, she strongly felt (from a place of deep wisdom) called to bring forth a great being who would help ease the suffering she saw around her. Or perhaps she saw a karmic debt she had to settle before she could move on. Thanks Chong Go Sunim for this wonderful post. The story of the tigers is great, and the interpretation is helpful. I would like to hear the rest of the “In the days when Tigers smoked tobacco…” story — could be interesting. I love this blog. Really great posts. I’m the editor of Daegu’s English magazine. I was wondering if we might be able to have an email interview with you, Chong Go Sunim, and others who post on this blog, and we can have an article profiling the blog and bloggers in an upcoming issue?